Remote sessions, also known as distance sessions, are conducted similarly to in-person sessions and afford many benefits. They afford accessibility and reduce the need for travel, which is particularly valuable for clients who are physically too unwell to travel, small children or for those who are lacking transportation. Remote sessions allow for world-wide access. The client is able to relax during the comforts of their own home while the session is being completed. Results are then made known either by email or phone, depending upon your preference. Remote session results are often noted by clients to be more powerful, in comparison to in person sessions. Remote sessions work the exact same way in-person session do. Simply put, Quantum Physics tells us that every body part and every cell knows exactly what every other part or cell is doing. Further, it tells us that there is a deep interconnection and interdependence between every atom in the universe and therefore every human being in the universe. When we communicate with the bodymind we simply use our brain to focus in on the priority area which the BodyTalk Protocol tells us that needs balancing. This ability is enhanced by using a mental workshop, used by many BodyTalk Practitioner’s, called Mindscape. 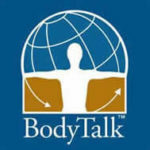 Much like a cell phone can quickly connect around the globe without a physical connection, BodyTalkers can use MindScape to accurately tune in to their clients without having to use physical contact. Depending upon your preference, you will be contacted either email or an mp3 recording will be sent. This will be done the same day of the session. 5) How do group sessions work at a distance? Much like working with an individual, the group is focused on in MindScape, typically working with a pre-arranged theme for that session. I consistently receive the feedback that individuals thought the session was just for them. The nature of groupwork allows, from a quantum physics understanding of increasing observation, for exceptional effectiveness.